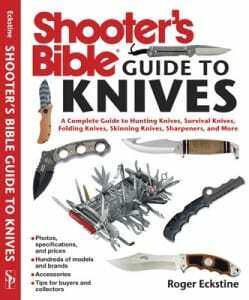 Excerpts: Is it reasonable to believe that since there are fifty states, there are no more than fifty laws pertaining to the possession and application of knives? Unfortunately, that is not the case. If some states have a set of laws that rule from border to border, others have the further complication of local ordinances that can change from county to county and city to city. This makes it pretty tough on anyone who travels, or, for that matter, for those abiding by the law in one’s hometown. Some of the points at issue are not merely blade length but also means of carry, either open or concealed. …The mission of the American Knife & Tool Institute (visit AKTI.org) is to educate, promote, and inform. These three goals are aimed at public responsibility, industry growth regarding retail sales and manufacturing issues, and lobbying to ensure that Americans will always be able to buy, sell, own, carry and use knives and edged tools. Roger Eckstine: What does a knife owner need to know about knife laws and the preservation of individual rights? Jan Billeb: A knife owner needs to know about the law regarding knives in the location where he or she lives and where they may travel as restrictions can vary greatly. In addition to state laws, many cities or counties have additional ordinances regarding knife possession. When traveling by commercial airlines, remember to put your knife in your checked baggage, not in your carry-on or pocket! If traveling by bus or train, be sure to check out their specific prohibited items regulations. A knife owner also needs to know enough about knife technology to understand knife laws based on design characteristics, mechanical functions, et cetera, and be able to discuss them intelligently. Unfortunately, many laws are based on a type of knife, blade length and/or the mechanical movement of the blade instead of criminal intent. As for preservation of individual rights, a knife owner needs to be proactive and also polite and dignified when using a knife in view of others. Avoid un-necessary flourishing movements or anything that might be mis-perceived as brandishing. Check out American Knife & Tool suggestions for Encounters with Law Enforcement when you have a knife. RE: How does one find out what the knife laws are as they pertain to a particular city or state? JB: An internet search is a good starting point. Search terms such as: “knife” or “knives,” “crimes code,” “prohibited weapons,” “possessing dangerous weapons” and the name of the state or jurisdiction in question. Be sure to also look for published reports of cases construing or applying the statutes (written laws ) to help in understanding the law’s interpretation. Do not totally rely on websites that summarize the laws by state as this information may not be current or correctly stated. AKTI has a page directing concerned citizens to several websites that help in the search https://www.akti.org/legislation. ADDENDUM: Knife laws of all fifty states, D.C., and at the federal level are available on the AKTI website. RE: What knives, if any, are completely illegal to own? JB: There probably is no knife that is completely illegal. Some people mistakenly believe that switchblades (automatics) are completely illegal, but the Federal Switchblade Act deals with interstate knife commerce. In some states it is legal to own and carry a switchblade (for example Alabama, Arizona and Oregon). ADDENDUM: See Federal Switchblade Act for additional details and information on state automatic knife laws. Even in states where a knife may be illegal, there are “curio” exceptions which typically apply to items in a collection and not carried or possessed outside of one’s home. RE: How does carrying a knife relate to concealed weapon laws? JB: Laws regarding concealed carry permits or licenses tend to focus on handguns. Typically these laws do not specifically reference knives, but possession of a license may be a defense to some weapons charges involving knives, depending upon the circumstances. RE: What knives, if any, are illegal to conceal? JB: The issue of open carry or concealment has an interesting historical background. Concealed weapons laws were developed in a time when many, or most, people openly carried weapons. Concealing a weapon was frowned upon as misleading others that a person was not armed. Now in our time, it is just the opposite. Many weapons laws require, for example, that a handgun be concealed and not visible. In several states, knives that are legal to carry concealed may also be legal to carry openly, BUT there may be restrictions on the length of the blade, etc. RE: What knives, if any, are illegal to carry openly? JB: Folding knives are generally designed for pocket carry which means concealed. But again, that does not mean that they are illegal to carry openly in your state. In some states, such as New York, a visible pocket clip may be enough to give rise to a police stop or search as being considered open carry. A good rule of thumb regarding your knife is, if concealment is not prohibited (and not inconsistent with the circumstances such as harvesting, hiking, hunting), it is probably advisable to conceal. The key, again, is know the law and know your knife. Make intelligent decisions when purchasing a knife to avoid potential problems. Be sure you know what open carry means in your state. For example, is a knife in your car open or concealed? RE: What are some of the landmark victories that have been won by AKTI or others? ADDENDUM: Follow AKTI News for more recent victories that have changed knife laws in Alaska, Arizona, Oklahoma, Texas, Maine and more. RE: What battles for the rights of knife owners are currently being fought? JB: An ongoing battle for the rights of knife owners is educating legislators and law enforcement not only about the utility of knives and individuals’ rights, but also about how knives work. As long as knife laws are based, not on criminal intent, but on factors such as blade length, mechanism of opening, archaic terminology, etc., AKTI will continue to work state by state to remove restrictions that infringe upon the knife owner’s ability to buy, sell, own and carry the knife or edged tool of their choice. The most recent efforts are updated at www.akti.org as information can be released. RE: What can knife owners do to help maintain or regain their rights? JB: Knife owners need to be aware of knife laws. Be proactive and make your views known to legislators – reasonably and politely. If you want to make changes in your state’s knife laws, meet with your legislator’s aide and begin a conversation about the restrictions and how individuals and businesses are affected by it. Address your concern that knife laws should be based on criminal activity, not the object or its features. Contact the American Knife & Tool Institute for guidance and help introducing changes. Stay alert to any proposals that would further restrict a knife owner’s ability to buy, sell, own, carry or make knives. Pay attention to what is going on in your community and state regarding weapons laws because that is where restrictions will probably be written. AKTI monitors laws introduced in all fifty states and at the federal level, but we need eyes and ears on the ground to alert us as well. AKTI members have website access to all of the legislation we are tracking. Introduce others (friends, co-workers, relatives, neighbors, etc.) to the wonderful world of knives. Let them know that knives are an important object and tool in every day life that needs to be protected because of restrictive laws and attitudes. Teach a youngster how to safely use a knife in the kitchen, carving a pumpkin, or around the campfire. Support the AKTI with your membership or as a free Grassroots Supporter to receive email updates. Be ready to contact legislators or others when called to help Keep Knives in American Lives.